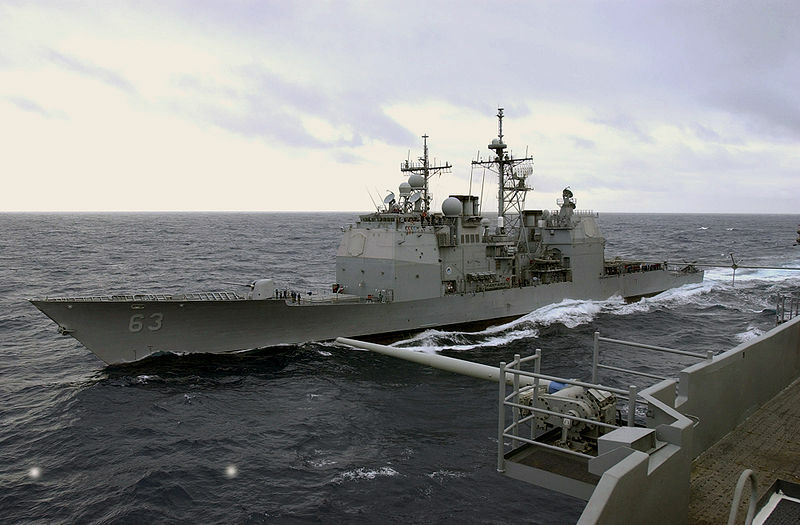 The Chinese navy tried to force a US guided missile warship, USS Cowpens, to stop and change direction in the South China Sea this week. The cruiser was recently in the Phiippines to assist in disaster relief. According to the officials, the Cowpens was conducting a routine operation done to exercise its freedom of navigation near the Chinese carrier when the incident occurred about a week ago.